Let’s face it: Moving people and products takes energy and impacts the environment we all rely on. We’re proud of our award-winning efforts and partnerships that minimize our impact on the environment and enhance our natural resources. Our air quality program promotes just that: clean air. 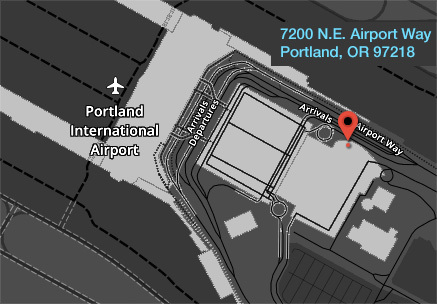 Our efforts to minimize idling vehicles and traffic at PDX and our other properties have dropped carbon monoxide output by more than two tons a year. And speaking of PDX: If you’re going there, be like 1.3 million others every year—take TriMet MAX light rail. 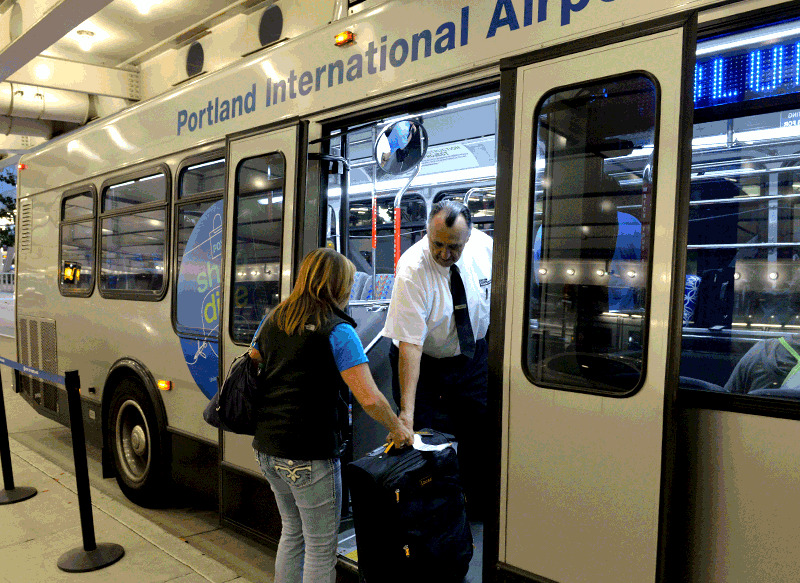 We run compressed natural gas shuttle buses at PDX, operate hybrid and electric cars, and use cleaner-burning biodiesel or lower sulfur diesel. We’re also a founding sponsor of Sustainable Aviation Fuels Northwest, which supports development of biofuel for commercial jets. 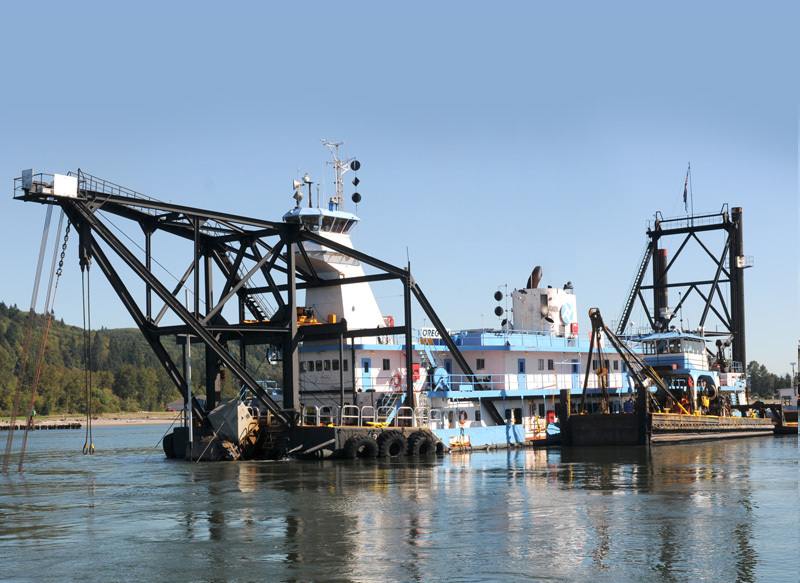 In 2014, we replaced three engines in our Dredge Oregon, which helps maintain the lower Columbia River shipping channel, reducing diesel particulate emissions by more than 85 percent. Collectively, we’ve reduced diesel particulate matter by 76 percent from our 2000 level for operations we control. 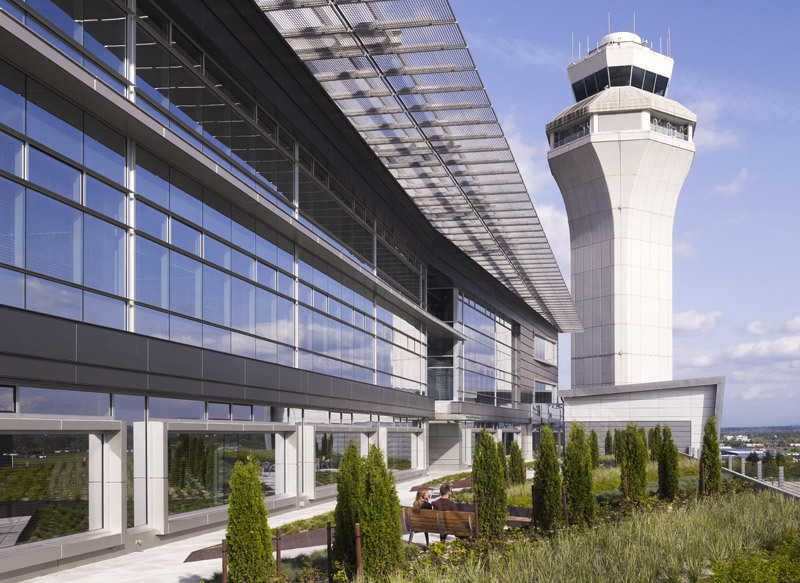 We’ve recently installed an additional 42 electric pre-conditioned air units to keep aircraft cool on hot days at Portland International Airport gates, reducing 62,000 tons of carbon dioxide over the life of the units. Since 2005, the Port has fueled container-handling equipment with ultra low sulfur diesel and improved exhaust systems for cleaner emissions. We believe in reducing our energy consumption and subsequent carbon footprint in everything we do. Here’s how we’re making that happen. 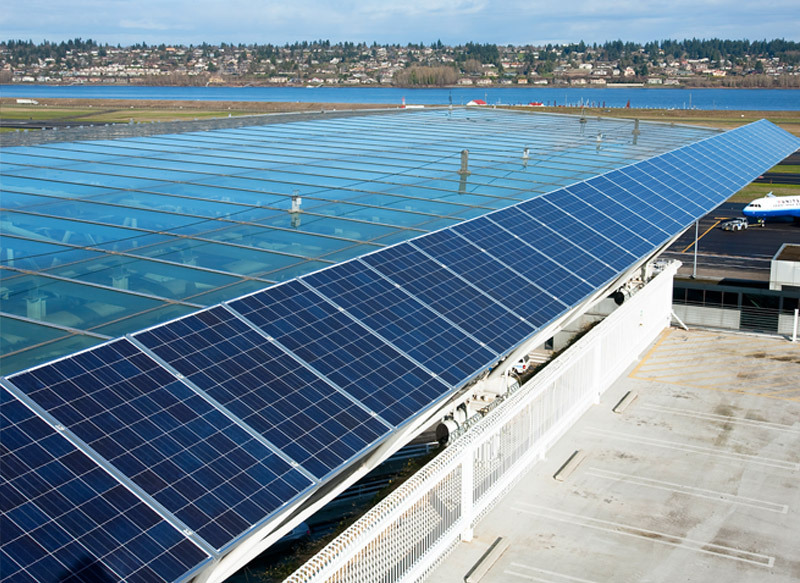 In addition to the 292 solar photovoltaic panels which power the Nike Store and supplement electricity at our deicing stormwater treatment facility at PDX, we commit to 100 percent renewable electricity. Also, our LEED Platinum headquarters has a closed-loop geothermal heating and cooling system combined with passive radiant ceiling panels. Window design at the Port of Portland headquarters optimizes the use of sunlight and control strategies to boost lighting energy efficiency. Our climate change strategy focuses on reducing greenhouse gas emissions and adapting to changing climate. Our goal by 2020 is to lower all our carbon emissions by 15 percent below 1990 levels. By 2016, we already reduced greenhouse emissions by 71 percent through the repowering of the Dredge Oregon, energy efficiency projects, and the purchase of renewable energy certificates. We also encourage our partners to minimize their carbon impact, and continue to promote the development of a commercial-scale market and supply chain for regional sustainable alternative fuels. We’re a part of the Energy Trust of Oregon’s Strategic Energy Management Program, where we collaborate with other organizations to improve energy practices. At PDX, our tenant guidelines encourage energy efficiency in design, and our utility sub-meters provide tenants with information that encourages energy conservation. 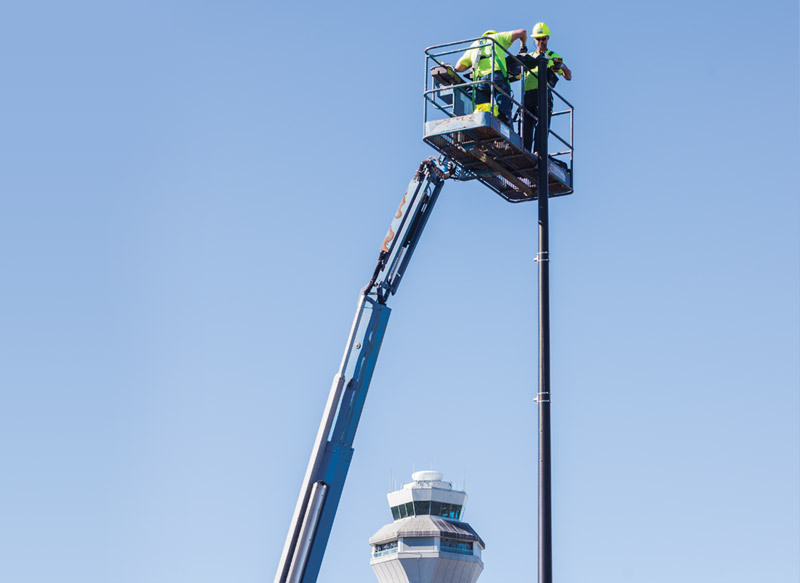 Upgrading roadway lighting on Airport Way: New LED lights are saving more than 1,000 metric tons of carbon emissions annually. A healthy environment is nothing new for us. We’re constantly working to restore land and reduce waste. Our zero waste plan aims to reduce the amount of waste that goes to landfill by 90 percent or more. Ninety percent of our construction and demolition waste gets kept out of the landfill. At our headquarters, we keep 75 percent of all our waste from heading to the landfill. We’re proud of our efforts to avoid and reduce waste. 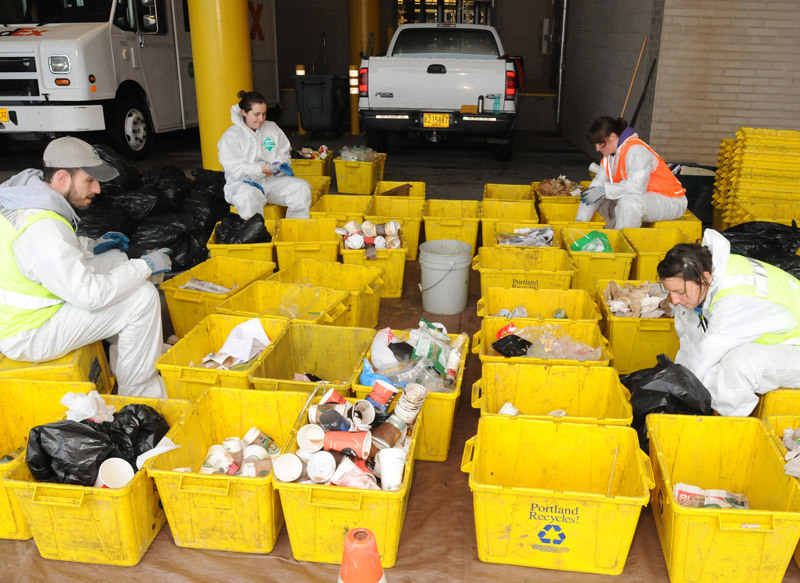 For example, our partnership with Portland State University’s Community Environmental Services program develops creative programs to solve waste management issues. 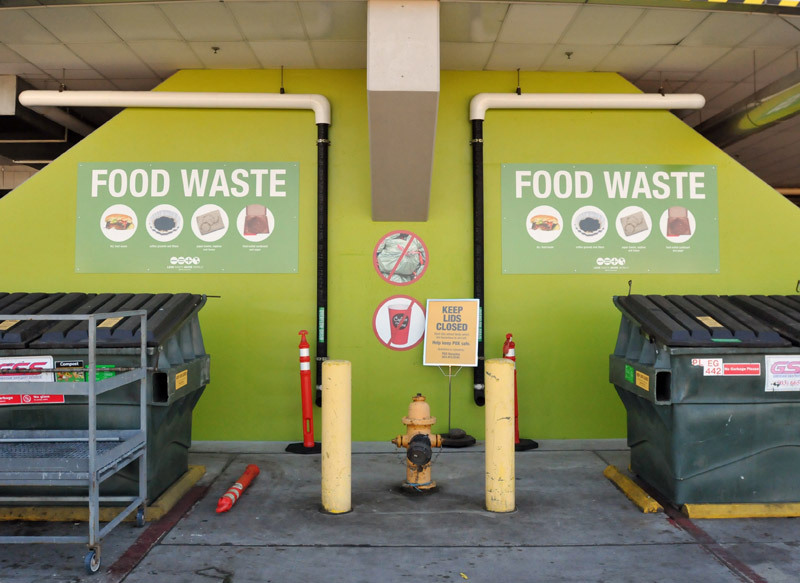 Through efforts like these, we’ve donated more than 155,000 meals and composted 2,350 tons of food waste from PDX since 2003. PSU Student Interns solve waste challenges at PDX by conducting waste studies and providing tenants strategic feedback and support. 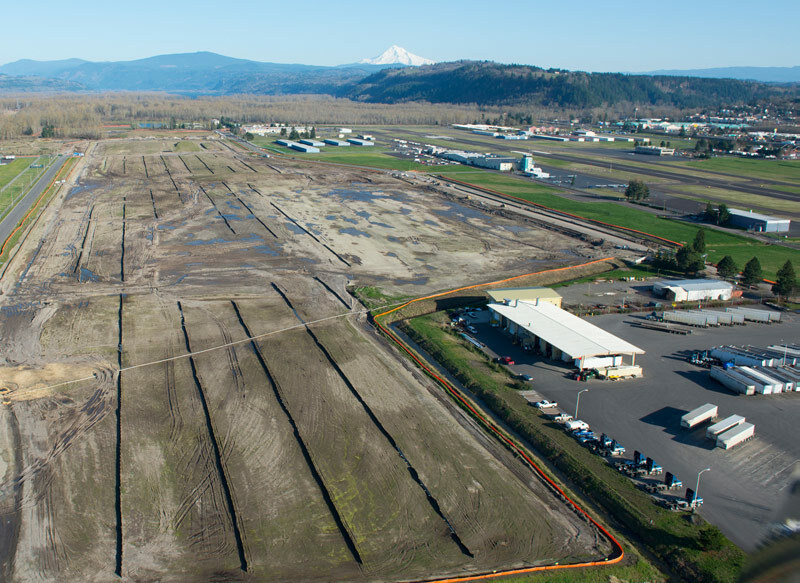 The Troutdale Reynolds Industrial Park, a 700-acre former brownfield, was revitalized by the Port and other partners to become a job center for the community. Learn how this property has been reimagined into a mix of industrial land and natural areas. Protecting the health of our community is key: Since 1998, we’ve cleaned up 49 historically contaminated sites. We work to reduce the use of hazardous materials, like how we’ve switched to water-based paints for PDX runways. Also, we collaborate with stakeholders and the Maritime Fire and Safety Association on spill prevention and response plans for vessels in the Columbia and Willamette rivers. We look for opportunities to support and enhance natural resources in everything we do. 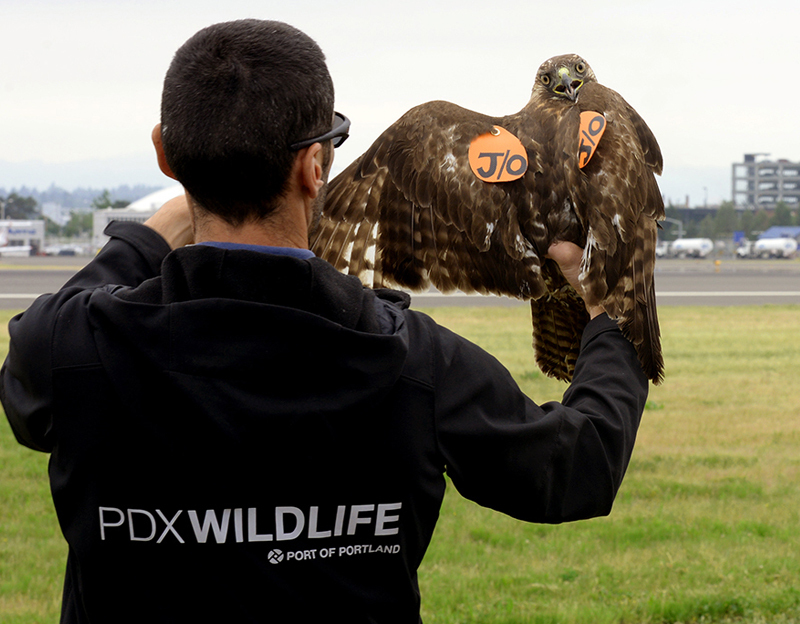 Raptor translocation is an ongoing management practice at PDX due to the area’s attractiveness to hawks. Trapping primarily occurs during the spring and fall migratory periods when an influx of non-resident migratory and transient raptors flies through. 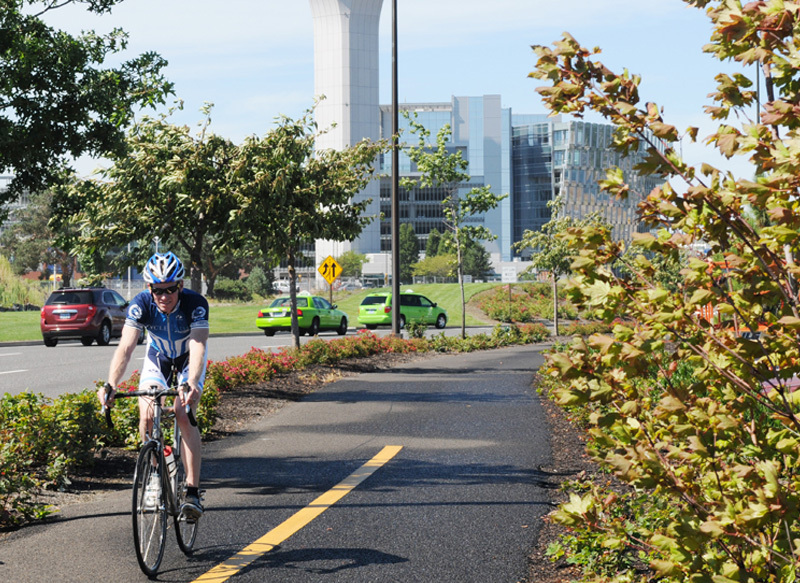 The PDX Wildlife Hazard Management Plan reduces the risk of wildlife and aircraft collisions. The award-winning program includes a feature that allows you to track raptors that have been captured and released. 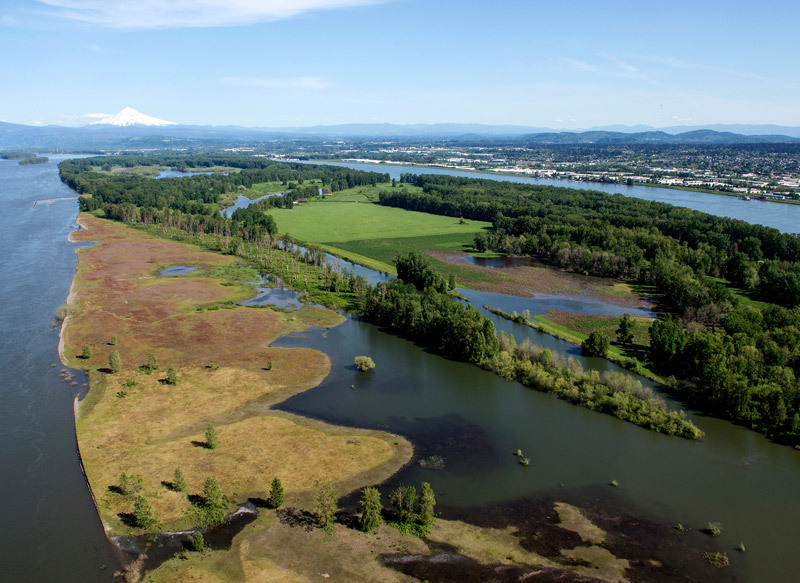 We manage more than 900 acres of natural and mitigation habitat in the Portland metro area. We partner with more than 25 local, regional and federal organizations to manage natural resources and fight invasive species. In fall 2015, we planted 50 acres of grassland on Government Island with 630 pounds of wildflower seed and 2,000 Camas bulbs. 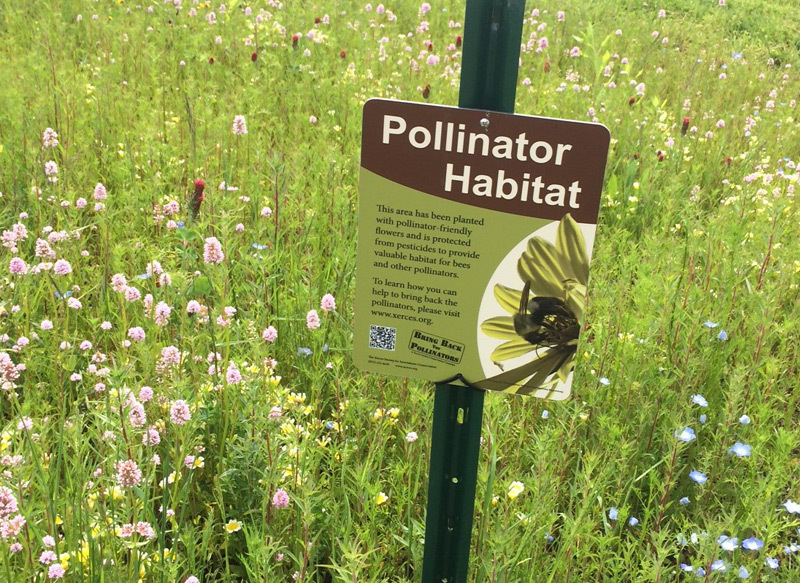 The Xerces Society conducted pre- and post-project insect monitoring to quantify the benefits of grassland enhancement to pollinators. We work with the Xerces Society to use our wetland and grassland sites for research on invertebrates, including bugs like dragonflies, mayflies and bees. Since 2005, we’ve collaborated with Tribes and their partners to protect cultural and historical resources. And since 2011, we’ve funded seven Columbia Slough enhancement projects to support our local watershed. Our work depends on waterways: We protect water quality and reduce water usage to conserve this precious natural resource. 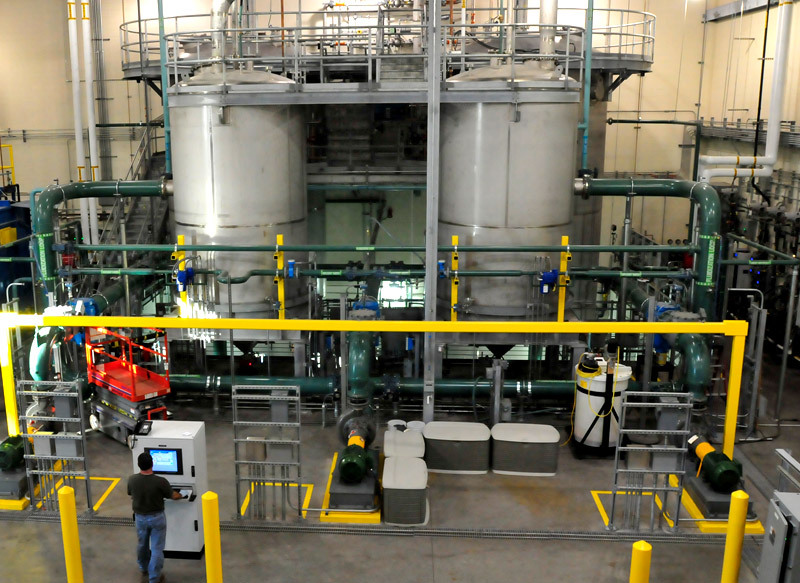 Award-winning Port headquarters recycles water to use in our on-site Living Machine. We practice what we preach by reducing water consumption ourselves. 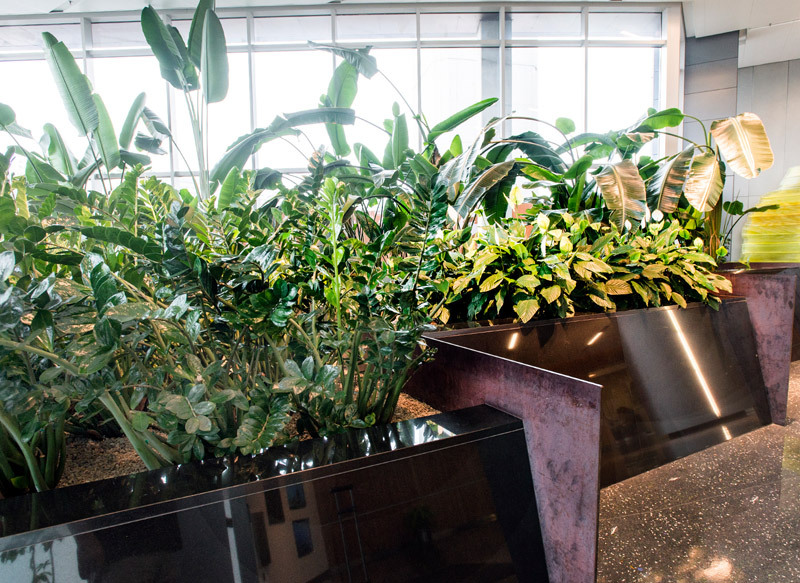 Our headquarters recycles water from sinks, showers and toilets through a series of constructed wetlands for reuse: It saves more than 360,000 gallons of water a year. At PDX, water-saving flush valves toilets conserve thousands of gallons daily. Stormwater management uses native vegetation and permeable surfaces to filter out pollution—limiting the water that runs into storm sewers. At our Terminal 6, more than 50 acres of porous pavement filters 100 percent of stormwater. 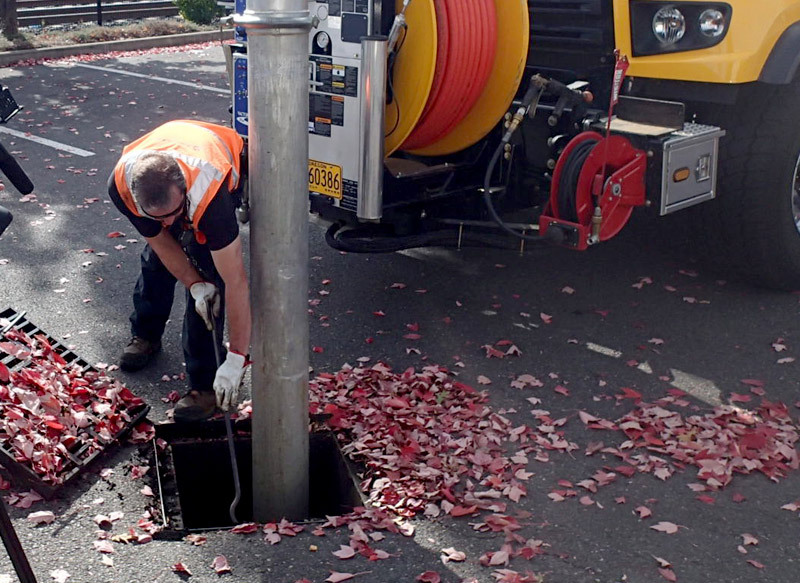 Our stormwater treatment uses microorganisms to break down deicing solution at PDX. The anaerobic treatment system uses bacteria to “eat” ingredients in the deicing fluid, and the recovered methane from anaerobic digestion heats the deicing facility. We treat and manage millions of gallons of deicing stormwater a year.